Technology-intensive Cambridge Audio products are re¬cognised as being splendid sonically, but are not exactly inexpensive. It’s surprising, therefore, to find a competitively- priced newcomer to the range in the guise of a stand-alone D/A converter. The DAC3, at £299, offers its customer 1 6-bit, 8- times oversampling conversion. All stages are digital, including the input switching with digital polarity inversion controlled from the front panel. The output is fed through a high quality volume control direct to your power amplifier. Analogue areas are all entirely passive. It has a more comprehensive brother, the DAC2, which prices up at £450. 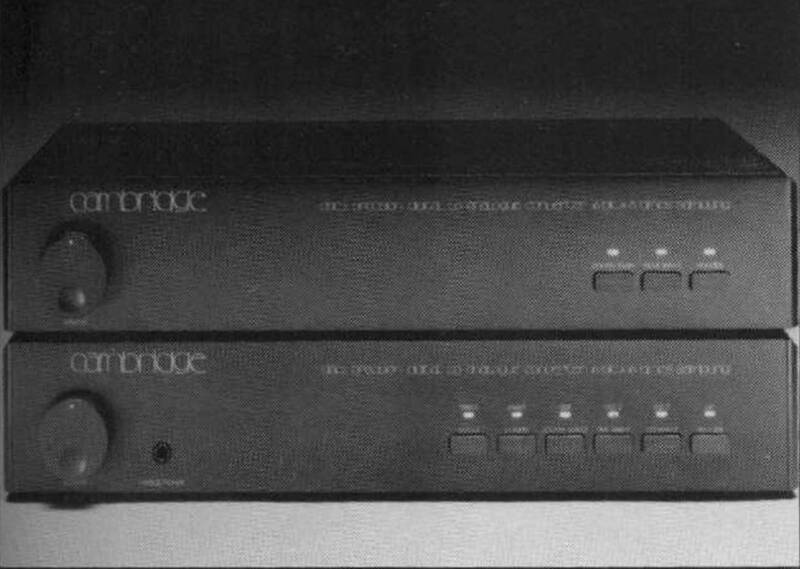 This incorporates four digital inputs (two CD and two DAT), plustwodigital outputs. Structure is 16-bit, with 16 times oversampling conversion as used in the CD2 (reviewed last month). An active stage is included, with its own volume control, expanding the analogue outputs tothree— fixed, passive variable and active variable! It even has a headphone output driven by a discrete class A amplifier rated at 5 watts output. A tuner comes into the range too. Its the T40, AM/FM, and costs £199 including VAT. Changing a winning formula can be a risky business; the ‘if it ain’t broke don’t fix it’ maxim applies all too well to audio kit. But sometimes, change becomes necessary as much by circumstances as any desire to improve and refine a product. And so it was with Michell Engineering’s range of turntables, which have had the motor type replaced across the range. My experience with turntable motors and their power supplies has shown that seemingly trivial changes in this area can make conspicuous differences in the whole sound. But I wasn’t prepared for the major sonic refit that the change from an AC motor to a DC version would have on the Michell Orbe SE (and VC power supply). Like most belt-driven turntables over the years, Michell always used an AC synchronous motor to drive the platter. This can be an easy, cost-effective solution requiring no more than a couple of passive components to run directly from the mains AC supply, with a fair degree of inherent speed stability as motor spindle speed is locked from the 50Hz (or 60Hz) AC frequency. Later models were offered a quartz-locked QC power unit which increased performance by lowering motor frame vibration and stabilising any frequency fluctuations by creating a more stable and purer two-phase sinusoidal feed. In effect, Michell’s QC (comparable to the Linn Lingo for the LP12) is capable of substantially improving the final sound available from its AC motorpowered turntables; but a change of design was necessitated by the recent unavailability of the specified Papst drive motor. This Swiss-made unit was one of the best AC motors for the job, and so Michell, along with its electronics partner Trichord Research, developed a replacement DC motor which fits into the same weighty 3kg motor block. The DC motor option for belt-drive turntables has been exploited in the past by manufacturers such as Pink Triangle and Origin Live, and it has advantages – and disadvantages. In its favour, a DC motor typically has lower vibration, especially compared to the ubiquitous Philips/Airpax motors, and low enough to even allow the motor to be hard-mounted to the same plinth that supports the platter. The principal problems with DC motors are, first, speed drift caused by changes in the DC supply voltage and, second, acoustic noise from the brushes within. Motor noise wasn’t a problem with the Orbe SE VC. From the outset, the new motor block was as deathly silent as it should be, with no ‘whispering’ acoustic noise to intrude on listening. Speed accuracy was checked with a quartz-controlled LED strobe, and found to be set precisely to 331/3rpm. This is more remarkable considering the subjective replay quality of the SE VC model, – in direct comparison with an AC motor unit on the same deck, the DC Orbe gave music a slower feel. The impression was of a more sedate, timely rendition, giving more time to take in, for example, a piano concerto in all its layered intricacies, where the AC Orbe would be racing toward the end in comparison. Timing, the sense that musicians are playing rhythmically and in time with each other, was as excellent as before, but overall pace was slowed subjectively. Coupled with this was a lower noise floor, allowing, for example, the slow decay of a held piano chord to be heard for longer, and very quiet background sounds such as the squeaks of instruments and seating were now apparent. 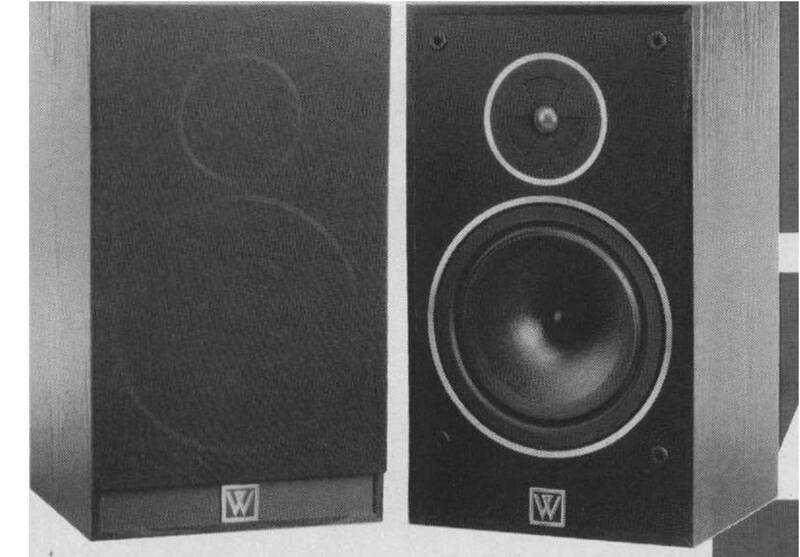 Stereo stability was also first-class, perhaps better than the older version, letting images lock into space convincing. But the biggest change after ‘speed difference’ was the tonal character, which has changed quite markedly. Treble hash, manifest as a low-level glossy sheen added to female vocals and cymbals, for instance, was never a big problem for the Miche[l Orbe, and so I was surprised when this was removed altogether. Instead I sensed a darker, more ‘analogue’ mood, particularly in the upper presence region. 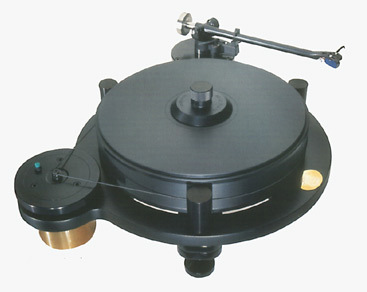 A Clearaudio Victory m-c cartridge mounted on a Rega RB300 Incognito arm was now giving a performance closer to the sublime and far costlier Transfiguration Temper V [HFN Dec ’02]. In conclusion, the latest Michell Orbe introduces real improvement in most areas, but beware of a change in character which might require a little system tweaking, especially if you’re upgrading from the previous version and are wedded to its tonal balance. The difference might not warrant too much concern, and I believe that the positive benefits of the upgraded motor are just too good to miss. Pioneer’s CDJ-1000 turntable has become the industry standard among DJs that play from CDs thanks to its tank-like construction, big vinyl-emulation wheel and exceptionally precise controls. Pioneer has just announced its successor – the CDJ-2000. The biggest addition on the 2000 is that of a massive 6.1-inch WQVGA colour display that can show song information, album art, wave data, and other information about the song. A touchpad under the display called the “Needle Pad” lets you skip to specific parts of the song, too. Also, there’s the option to use the turntable as a midi controller for other devices – making its 35 buttons able to do whatever you like – triggering samples for example. There’s a 24-bit sound card built in, so it can plug straight into your computer and used to control software like Traktor and Serato. A feature called Pro DJ Link allows you to share content between players. You can buy up to four of these players and connect a hard drive, SD card or USB stick to just one – then share the music on that source through all four of the players. Lastly, there’s a music organisation system that the company’s calling “rekordbox1”. That keeps track of music files that are played through the device and logs their BPM, waveform data and any cue points, loops or hot cues that you set. When you then load the song in next time, everything will be waiting for you. On top of the CDJ-2000, the company has also updated its CDJ-800 to the CDJ-900, adding many of the features above but lacking the whopping great big screen. The CDJ-2000 will be out in November, and cost $2150 – that’s about £1300 directly translated, but we’d expect a price nearer £1500 for the UK market. 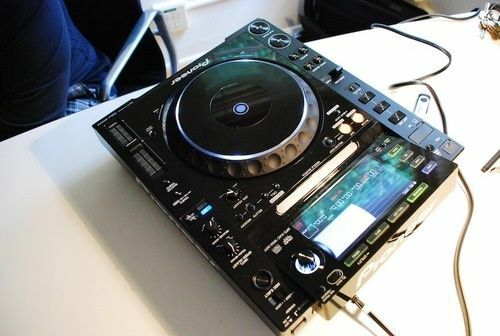 The CDJ-900 will arrive in December and cost $1600 – about £970, so probably more like £1100 when it arrives here. Just weeks after Sony quietly pressed stop on the Walkman, its Japanese rival Panasonic has announced the end of another chapter of music history. It will no longer produce its Technics line of analogue turntables, including the pioneering 1200 series, originally a humble record player, that almost by accident sparked the birth of a musical and cultural movement. When they were first brought to the consumer market in 1972, the Technics SL 1200 quickly became the standard among radio and club DJs as, when combined in a pair, the turntables made it possible to synchronise different recordings, giving rise to the disco (and house and techno) style of continuous beat matching. Since then, rappers have continuously name checked the “1200s”, “Tee 12s”, “Tec 12s”, “wheels of steel” and “the one and twos” that helped to found their art. While it will likely be some time before the turntables disappear altogether, the final suspension of their production has prompted no lack of nostalgia from their proponents – even those who have moved on themselves. Thirty-eight years after its initial release, the SL 1200 had barely changed and had seen off competitors’ attempts to ape it. The latest iPod, a similarly revolutionary product, is scarcely comparable to its first chunky incarnation in 2001. But where the iPod all but obliterated its rivals, this announcement perhaps doesn’t mean the end of the SL-1200. Some products that have purportedly replaced the analogue turntable still need the turntables in order to function, including the Serato Scratch program for DJs.